It’s been seven years since Instagram introduced us to square format photos and filters. And today, it seems everyone – and their dog – has an account. With its over 700 million-strong army, Instagram has one of the largest number of users compared to other social media platforms (it overtook Twitter in 2014), with over 400 million users visiting the site and over 80 million images uploaded on a daily basis. Moreover, a majority of the users say they discover new products from the social media platform, especially those involving food. 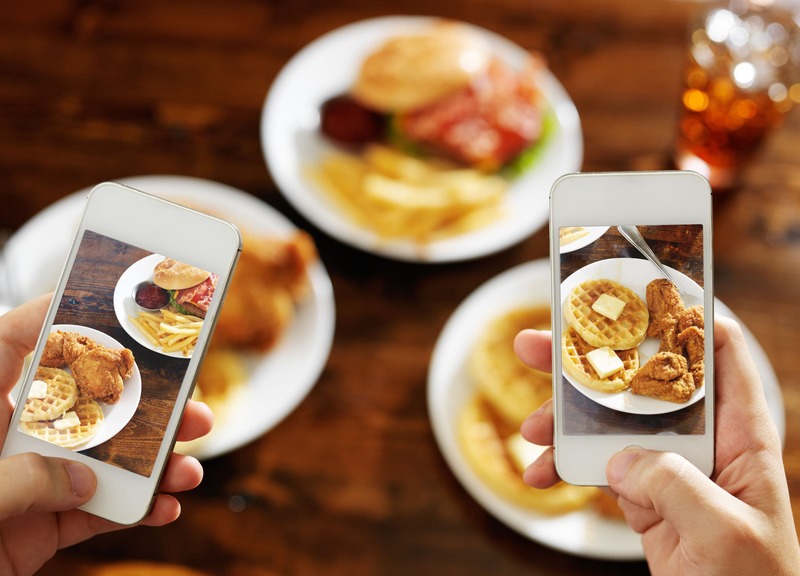 Some of the most popular Instagram trends on culinary include #food with nearly 250 million posts, #foodporn with 143 million posts, and #yummy with over 105 million mentions. Without a doubt, Instagram is the go-to social platform when it comes to culinary advertising. Having an Instagram business account allows users to easily find you on the platform’s search engine. Moreover, it also features analytic tools that will give you insights of how well your posts are doing as well as provide you with data on your social following. So, if you are using a personal account for business, ensure you convert it to a business account on the settings menu. You might have good pictures, but no leads or conversions. The problem could be with your Instagram bio. Fortunately, the solution to this is quite simple. Have a good (and professional) profile picture, create a catchy and unique bio about yourself and your food, and include a link to your landing page or website where people can get your products. Instagram photography is quite different from taking shots with your Nikon or Canon camera. For this platform, you first need a photo that perfectly fits in a square. Then, you need to make it really eye-catching. A typical Instagram user will scroll through their feed quickly, so you need to use bright and attractive colors to capture their attention. But a photo of nicely arranged food won’t sell itself. Have some great content on recipes or directions to cook a particular meal. This will definitely pay off for people love helpful content. Research for popular hashtags that will best suit the product you are promoting. You can use sites such as hashtagify which is free and allows you to easily find hashtag trends that you can use in a specific post. Ensure you include all the hashtags it suggests to make it easier for Instagram users to find your culinary – have a minimum of 5 and a maximum of 12. It’s also important to have a unique Instagram hashtag for your specific brand. Who knows, you might be the next top Instagram culinary trend. You want your photos to stand out, right? Why don’t you do a little bit of editing magic to it? Editing your photos will just take a few minutes but have a huge impact on the quality of your photos. Instagram has built-in filters and tools that you can use to turn your homemade dinner into a culinary masterpiece. Nonetheless, no amount of Instagram editing will fix a photo with poor light or composition. So, ensure the setting is perfect before you take that snap. There are a number of editing apps that you can use to make your photos look even better. Some great suggestions are Snapseed and VSCO. Aside from photos, you can also upload a 60-second (or less) video. Again, you can make these videos look more appealing by using built-in Instagram filters and editing tools. Also, keep in mind that videos on Instagram start playing without sound. Ensure that your culinary videos do not need sound to be understood by your followers. On the other hand, Instagram stories allow you to post videos and photos at much higher frequency without clogging up your feed. You can utilize this feature by posting behind-the-scenes videos and photos that your followers will love. Stories automatically disappear from your timeline after 24 hours. To make it big on Instagram, you need to establish yourself as a thought leader in the culinary industry. Let people look up to you for information and recipes. And it’s easy to do this – just be authentic, keep your profile up-to-date with the latest Instagram trends, and enjoy what you are doing.